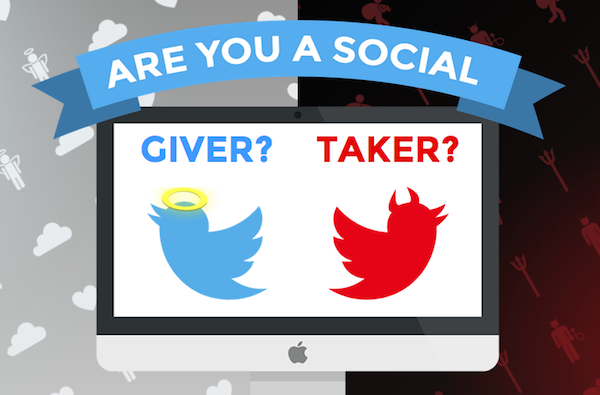 Are You A Twitter Giver Or Taker? 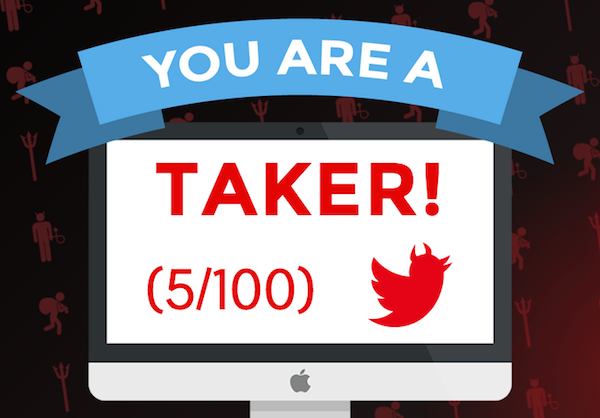 When you’re using Twitter, are you all take, take, take, or do you give a little back? Maybe you’re really generous, and don’t take enough? Or maybe you’re like Piers Morgan, and take everything? To find out your score, head on over to Giver Or Taker, a whimsical tool that analyses your Twitter profile to determine your status as a “giver” or “taker”. Crated by fundraising site Give as you Live, the app looks at some of your key Twitter metrics, including how often you retweet and your ratio of followers to follows, scoring you out of a maximum 100. The site also tracks celebrity performances, with Piers Morgan and Kim Kardashian both scoring a perfect 100 percent take, take, take rating.